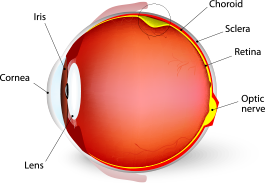 Retinal detachment is a disorder of the eye in which the retina separates from its underlying layer of support tissue. Initial detachment may be localized, and, without rapid treatment, the entire retina may detach. This leads to vision loss and blindness. A retinal detachment is a medical emergency. Anyone experiencing the symptoms of a retinal detachment should call the office immediately.